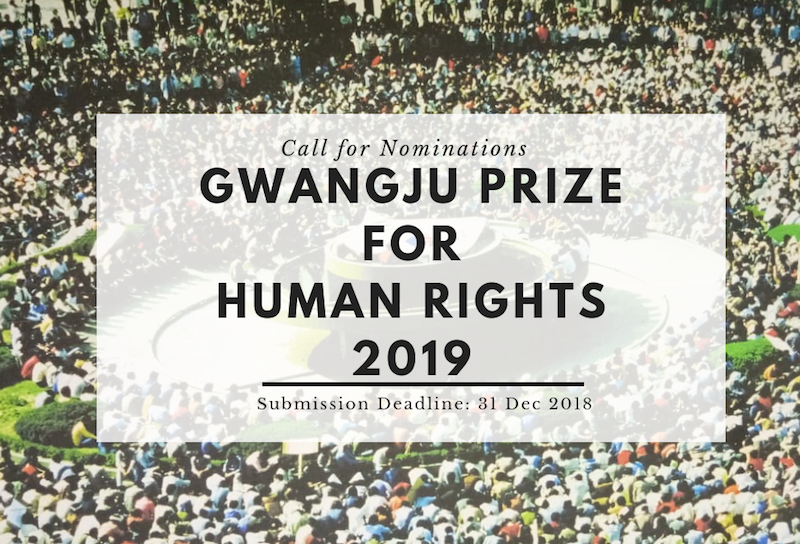 The May 18 Memorial Foundation invites nominations for the 2019 Gwangju Prize for Human Rights. These prizes are awarded by the citizens of Gwangju in the spirit of solidarity and gratitude to those who have helped them in their struggle for democratization and their search for truth. It is hoped that through this award, the spirit and message of May 18 will be immortalized in the hearts and minds of humankind. For more information, visit Gwangju Prize.